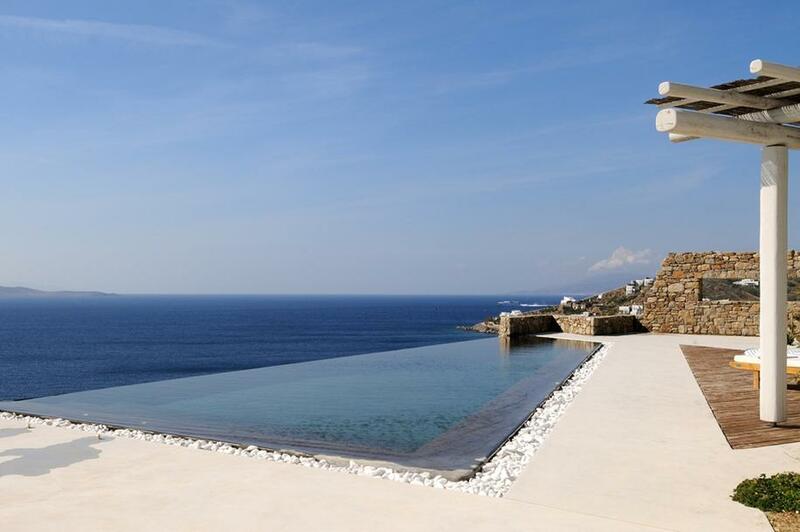 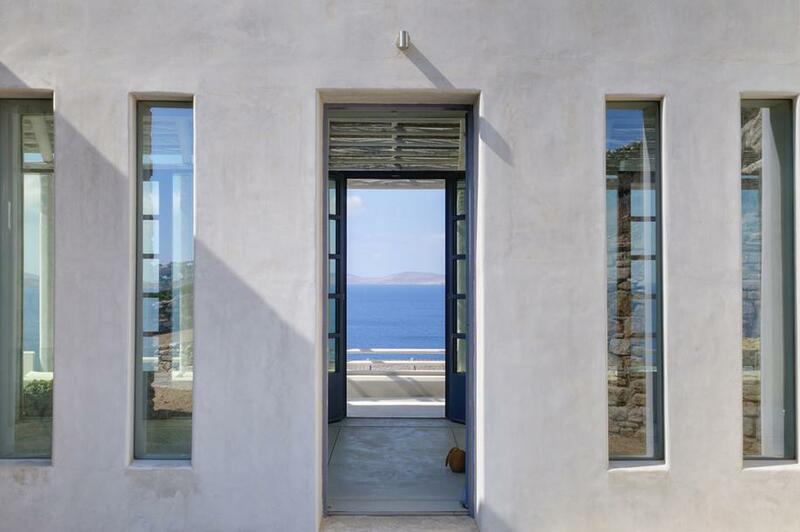 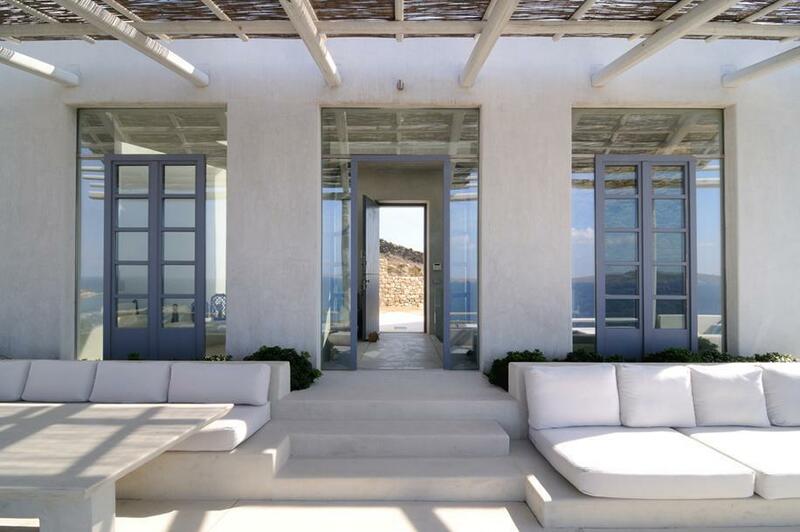 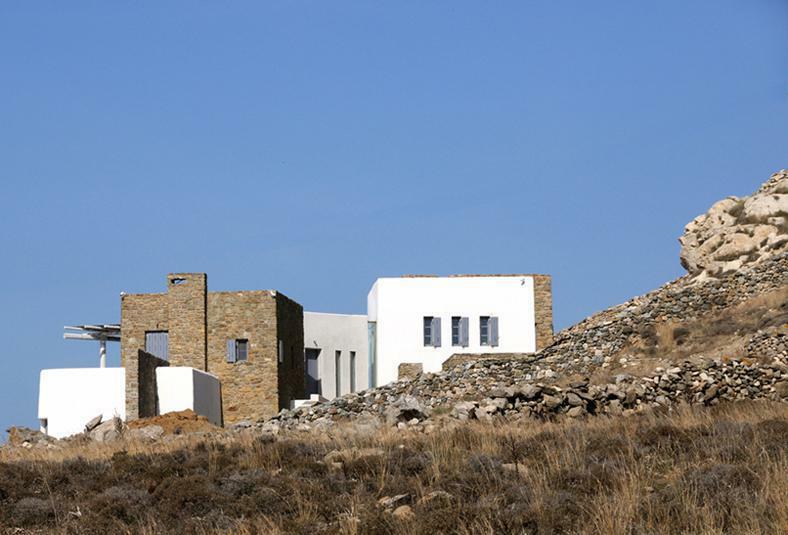 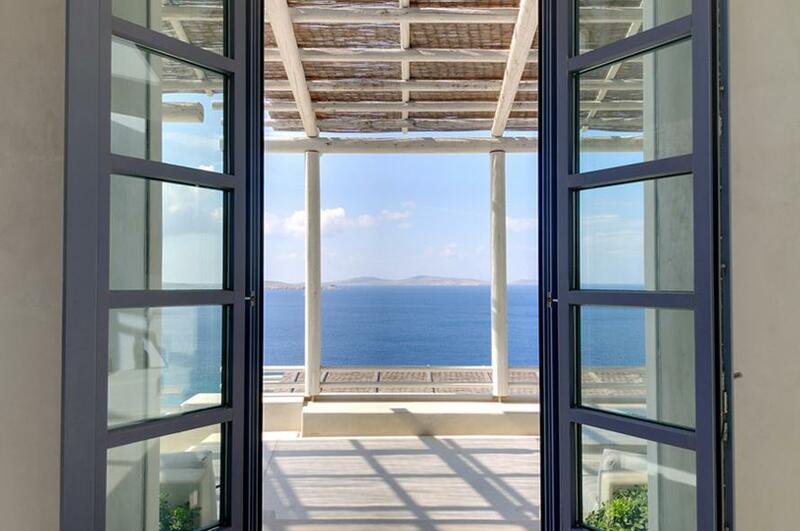 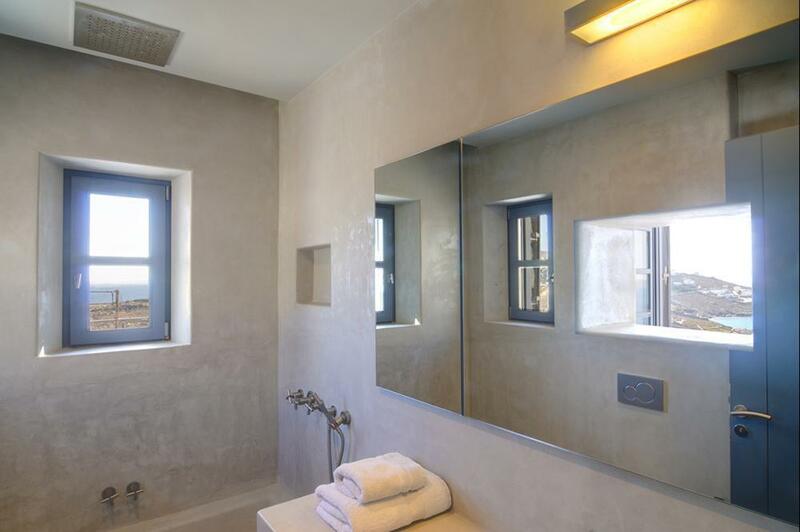 “Residence in Mykonos 2” is a vacation house built on a site with an especially rocky contour, a western orientation facing Delos Island and simultaneously a view to the Ornos gulf. 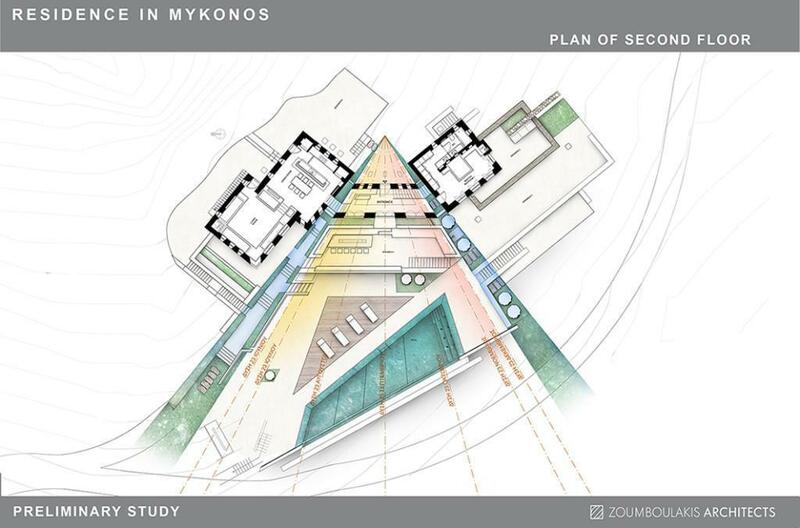 The building comprises three wings, connected by glass links. 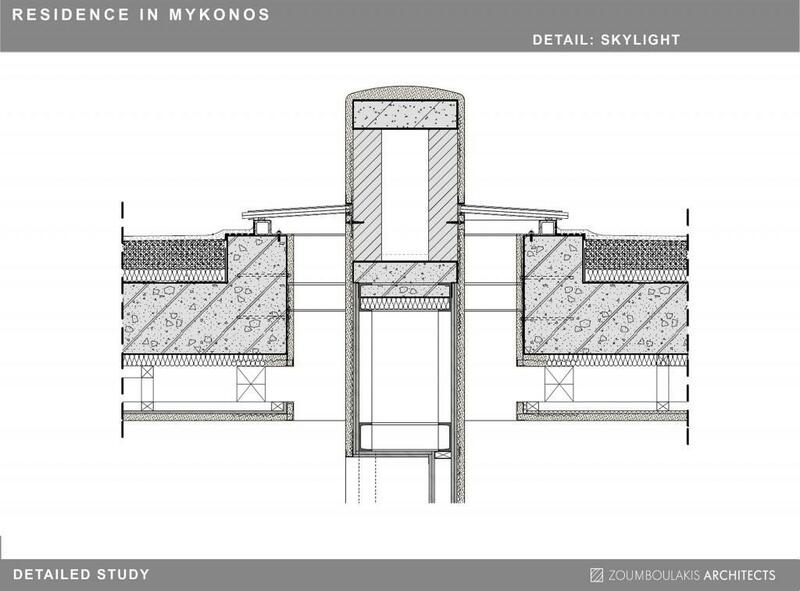 The central section contains the entrance and the external living area and is designed based on the axes of the West throughout the yearly seasons, functioning as a calendar, in the way the sun rays are projected on the floor. 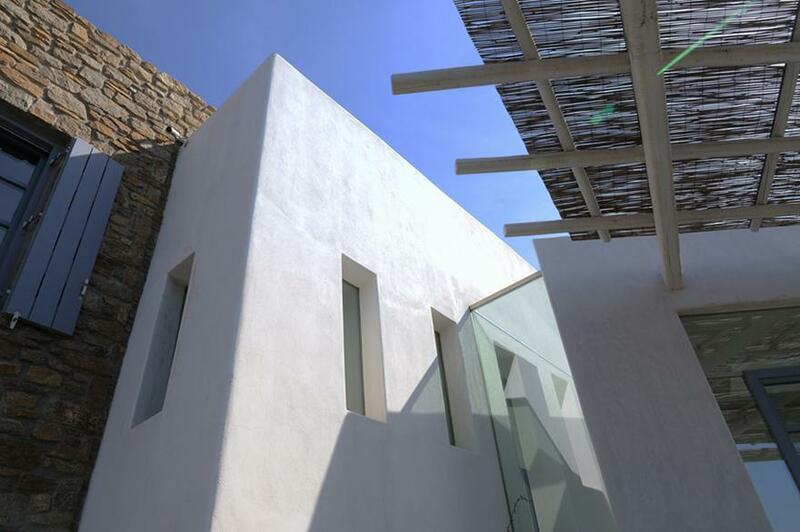 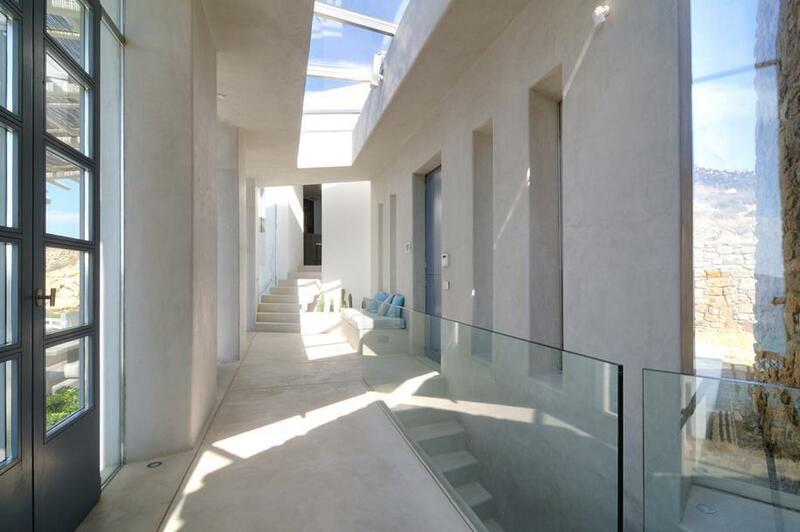 The layout, materials and colours are chosen to ease the transition from internal to external spaces, unifying them.